The petrol and diesel prices have been hiked by 1 paisa and 44 paisa per litre, respectively from the midnight. The price of petrol is being increased by Rs 0.01 per litre and that of diesel by Rs 0.44, both excluding state levies, Indian Oil Corp (IOC) said on Sunday. 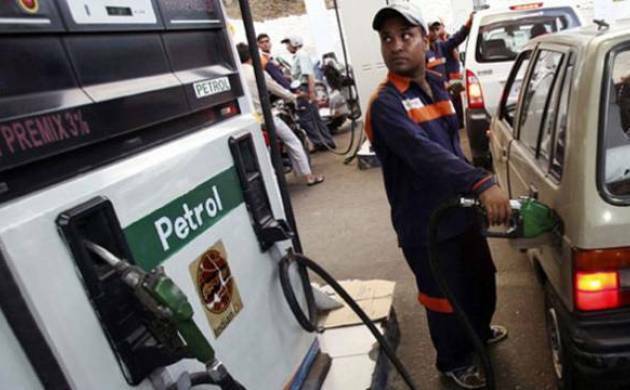 Now, the petrol will cost Delhiites Rs 68.09 which was earlier Rs 68.07 per litre. Diesel, on the other hand will cost them Rs 57.35 per litre. “The current level of international product prices of petrol and diesel and INR-USD exchange rate warrant increase in selling price of petrol and diesel, the impact of which is being passed on to the consumers with this price revision,” IOC said. Earlier, the prices of petrol and diesel were increased on April 16 by Rs 1.39 and Rs 1.04 per litre, respectively.